Data Theft Controversy: Will Cleartrip Be Able To Fly The Coop? What began as a data theft allegation has turned into a criminal case against the top management at online travel agency Cleartrip. Armed with further incriminating forensic evidence, a result of investigations over the past year, the Gurgaon police filed a charge sheet on Wednesday. The primary accused in the case are Stuart Crighton, CEO of Cleartrip, and Amit Taneja, promoter of Desiya Online Travel Distribution Pvt Ltd, a firm acquired by Travelocity two years ago. 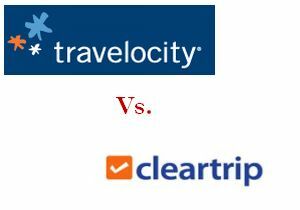 The allegations made by the online travel agency Travelocity against the Cleartrip management now point to criminal breach of trust, data theft, collusion, abetment, misappropriation, money laundering and criminal conspiracy. The next hearing will be on July 20, 2011 at the Court of Chief Judicial Magistrate in Gurgaon. A copy of the chargesheet and the FIR report is in possession of Techcircle.in. Cleartrip, backed by Kleiner Perkins Caufield and Byers, Sherpalo Ventures, DAG Ventures and Draper Fisher Jurvetson, is one of the top three online travel agencies in India, along with MakeMyTrip and Yatra. Travelocity.com is part of the Sabre Holdings group, which also owns Travelguru, Zuji and the Sabre booking & travel technology platform. Travelocity acquired D.V.Travels Guru Pvt Ltd and Desiya Online Travel Distribution Pvt Ltd in August 2009 for its hotel business. The case goes back to 2009, when Travelocity filed an FIR (No. 572) under sections 419/420/406 and 120B of the IPC 1860 Act and Information Technology Act 2000, under Section 66. Consequently, a raid was conducted at the Cleartrip office and laptops and mobile phones of Amit Taneja, Sanjeet Singh (employee of Cleartrip), Imran Ansari (employee of Desiya) and V. Sriram (a former employee of Desiya) were confiscated. Further investigations in 2010 by the Gurgaon police revealed that Taneja was downloading and transferring information to Cleartrip and received compensation for the same from Crighton. Taneja was also offered 1.5 per cent equity stake in Cleartrip during this period, according to the police chargesheet. "It's not about a couple of guys moving information or committing data theft. This was a conspiracy by the senior most management and shows a systemic flaw as they believed they could get away with flouting the law," said Roshan Mendis, regional vice-president, Travelocity (Asia Pacific), speaking to Techcircle.in. "Taneja was a promoter and used his capacity as a senior and access to loads of data to funnel it out to our competitor. He was induced, motivated and rewarded for it," he added. Travelocity had stated in the FIR, dated December 11, 2009, that the data compromise to its direct competitor (Cleartrip) could result in a 15 per cent loss of market share, translating to a loss of Rs 20 crore over a 12-month period. Travelocity invested over Rs 8 crore in building the source code over three years. The company claimed in the FIR that its multi-million dollar investment in acquiring Travelguru-Desiya had been put to risk. Cleartrip issued an official statement saying, "The investigating agency had filed their report in the court five months ago. Till date, we are yet to receive the complete chargesheet, along with the findings of the investigating agency. As the matter is sub-judice, we are not able to comment further."